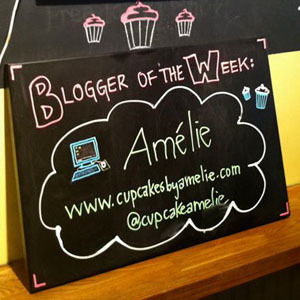 I was delighted–and very flattered–when I found out a couple of weeks ago that Butter Lane Cupcakes (now in both Park Slope, Brooklyn, and Manhattan’s East Village) had chosen me as their very first Blogger of the Week! 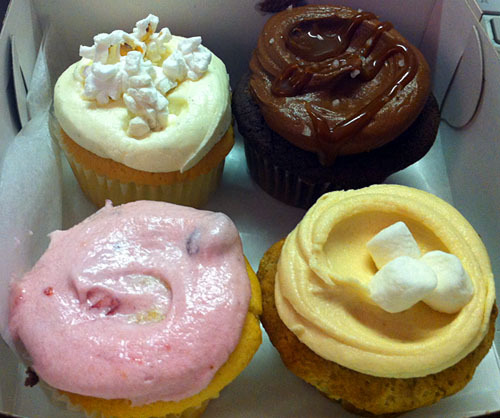 This blog was featured in the bakery June 8-15. I stopped by to say hi that Friday and picked up a box of four–a vanilla with caramel, a chocolate with chocolate and sea salt, a banana with peanut butter, and the special of the day. The special featured icing with orange and cranberry and gin! Sounds a little weird, but it was delicious. It was hard to choose, but these came home with me! Butter Lane will be doing this all summer. 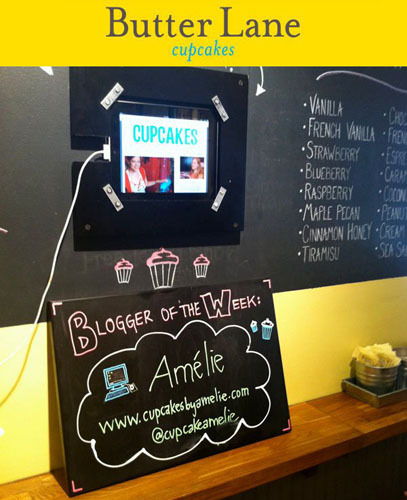 Congratulations to the next Bloggers of the Week, Country Boy & City Belle and Mercier Beaucoup, and to all the upcoming winners! 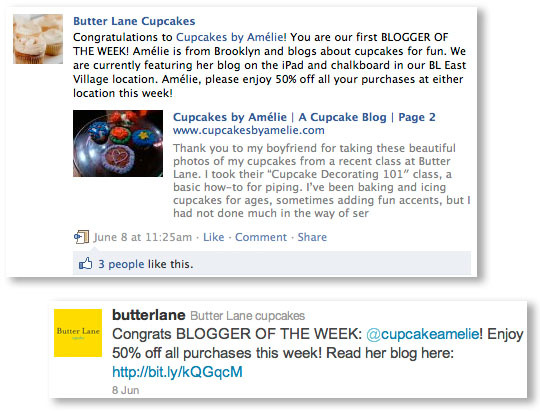 I think we should have a blogger party at Butter Lane at the end of the summer, what do you say?